The iPhone 8 comes with a new Retina HD display using TrueTone. The effect of this means the blue light is monitored and the phone matches what’s required to give the handset a more natural looking feel. The iPhone 8 is no longer the leading flagship iPhone since the launch of the iPhone X but Apple fans are still flocking to stores to purchase iPhone 8 deals in droves. The iPhone X does come with some flashy new features, but the iPhone is now at the affordable end of the market and it’s still one of the best smartphones available on the market. 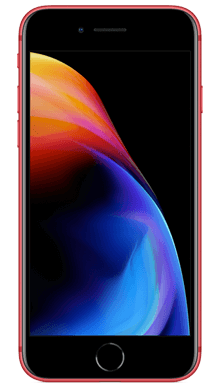 The only major difference between the iPhone 8 and iPhone X is a bigger screen and a lack of fingerprint scanner which has been replaced by the FaceID function. After that the difference are nearly negligible for a difference of nearly £300. At a glance the iPhone 8 is not that dissimilar to the earlier iPhone 7. It does have a larger bezel than the iPhone X but this doesn’t detract the fact that the iPhone 8 is a very sleekly designed phone that still looks a market leading handset. It does lack the large5-inch plus screen we have come to expect of the latest handsets like the iPhone X, Samsung Galaxy S9 and the Huawei P20 Pro but a 4.7-inch screen is still large enough to do anything required on a mobile phone device. Apple engineers have improved on the iPhone 7 in several subtle ways. Firstly, the antenna band has been blended better with the design. The major difference is shown when you turn the phone over. No longer will Apple use aluminium backed handsets the future is now glass. 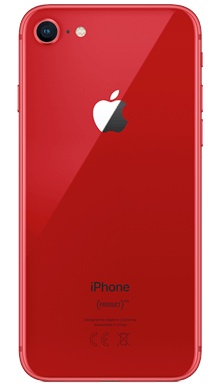 Glass backed phones often seem a worry to consumers but let’s be honest, cases have been around for a while now so just wrap one around your iPhone 8! Apple have given us some nice colours to choose from, the iPhone 8 comes in Gold, Space Grey and Silver. Apple have released the iPhone 8 in 256GB and 64GB, with the 64GB being the most popular handset. The camera has moved onto since the iPhone 7 with the iPhone 8 now boasting a 12MPfront camera. The camera is now faster due to the Apple designed image signal processor and a considerably improved flash which improved taking pictures in low lighting conditions. The iPhone comes with wireless charging capability and work with most of wireless charging devices that work with Qi. Wireless charging has been around fora while now, but Apple have confirmed this will be a permanent feature for all iPhones moving forward. 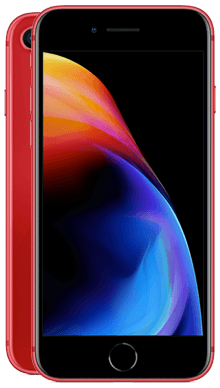 The handset comes dust and water resistant (not water proof) and its has an improvedA11 Bionic processor which is also used in the iPhone X. The speed between flicking between emails, apps and game is very fast in comparison to the iPhone7. The screen and display are not dissimilar to the iPhone 7 but there are a few additional features that stand out. 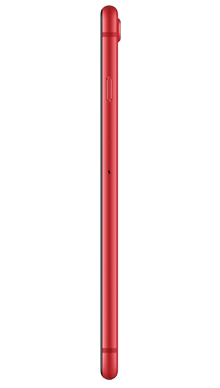 The iPhone 8 comes with a new Retina HD display using TrueTone. The effect of this means the blue light is monitored and the phone matches what’s required to give the handset a more natural looking feel. Blue light can affect health and sleep, so this is a major improvement that helps with a person’s well being. You can really see the difference when you turn this off. Apple have made a video recording leap since the iPhone 7. The iPhone 8 now comes with 4K quality video recording capability in 24, 30 or 60 FPS. The iPhone 8’s stereo speakers have been improved drastically with the speakers now being 25% louder than the iPhone 7. The offer better treble and the bass is on par with the Samsung Galaxy S9. The iPhone 8 runs on Apple’s operating system iOS11 which is the same as the iPhone X. It supports FLAC audio files and all indications looked as though this was the future for Apple. However, the iPhone X now only supports WAV, so this may be being pulled back. The iPhone 8 is a very good upgrade from the iPhone7 with a better display, louder and better-quality audio and the price tag sits over £300 cheaper than the next generation iPhone X. It still looks sleek but in comparison to the iPhoneX’s design it could now be considered out of date. Does all that design really make the iPhone X so much better than the iPhone 8, we don’t think so. Most of the hardware apart from the camera is the same which means you are essentially paying for an aesthetic upgrade not a design and build upgrade. 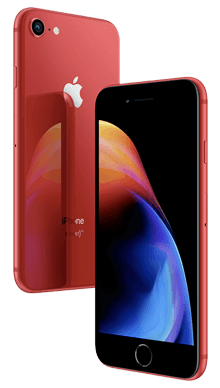 We offer multiple iPhone 8 Deals covering a range of networks. You can choose from our pay monthly contract plans on EE or Vodafone or purchase the iPhone sim free. Our Vodafone iPhone 8 deals come with some extra’s, choose from Sky sports, Spotify or Now TV for the duration of the 24-month contract. Prefer an EE iPhone 8 deal? You can get free roaming, BT Sport or Apple music to make your monthly contract a little better. Happy with your current contract? You can purchase your iPhone 8 Sim free deal directly from our website or one of our mobile phone shops. Can’t find what you’re looking for? Contact our UK based customer service team on 0333 900 1133 and see if they can find the mobile phone deal that suits you.